There is just no doubt about it. 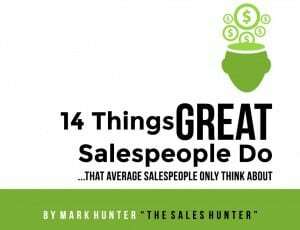 There are things that great salespeople do that average salespeople only think about. Be on your way to greatness!